Picking you up from your hotel in Puerto Montt or Puerto Varas, head out along scenic Route 225 toward the towns of Ensenada and Petrohué. We will show you all the top sights of the region and introduce you to the people who call it home. The beautiful ecosystem at the mouth of the Pescado River will catch your attention. These plentiful waters have made the river famous in the sport fishing community. Continuing along to Ensenada, we will visit enchanting Laguna Verde, Spanish for “Green Lagoon,” at the foot of Osorno Volcano within Vicente Perez Rosales National Park. The conical Volcano, soaring steeply overhead, has an appearance resembling Mount Fuji outside Tokyo, Japan. Then travel through the forest to beautiful Petrohué Falls. A short, easy walk will have you standing before the chute-type, icy cold, blue green falls. 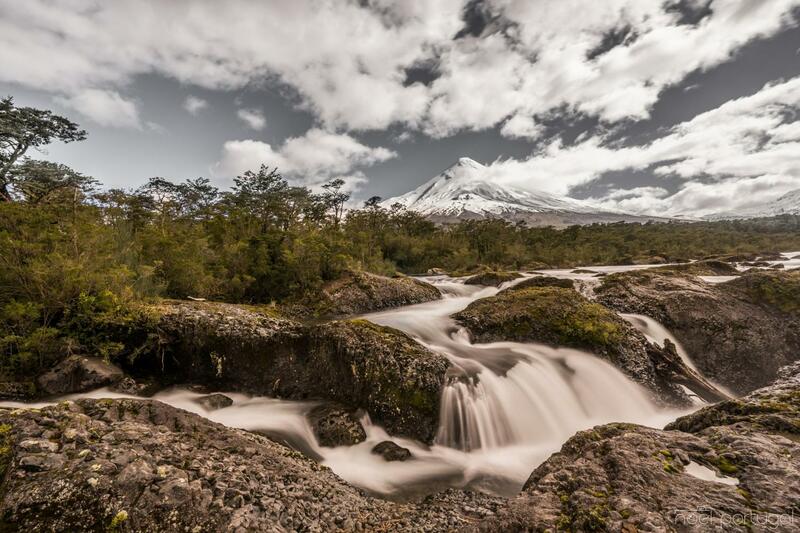 You’ll also have time to relax and enjoy the source of the falls, beautiful Todos los Santos Lake (Also known as Lake Esmeralda) with great views of Osorno Volcano behind. Javier was a very good and passionate guide. The tour went to many interesting places that all tourists should see when in the area of Puerto Varas.